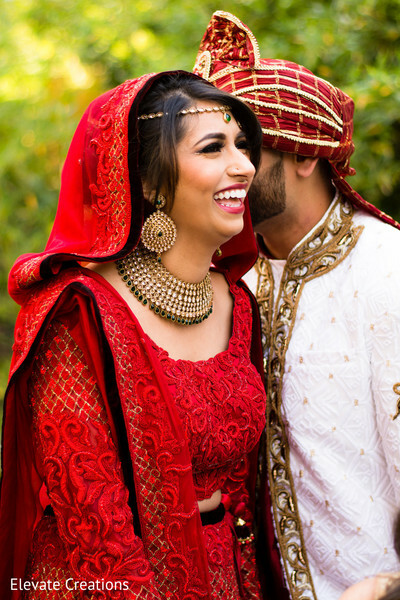 There are so many gorgeous details surrounding Alisha and Sumeet’s grand Indian wedding and we absolutely cannot wait to share all the grand details. 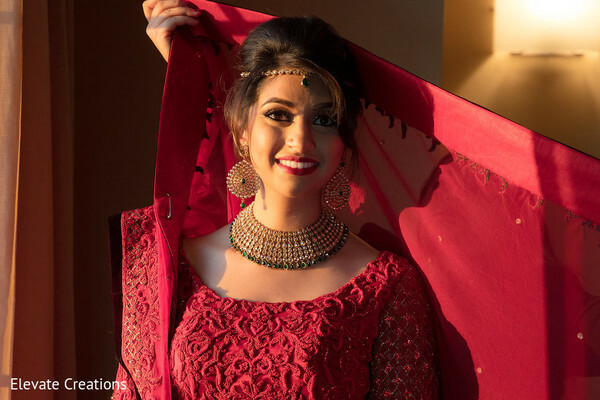 No Indian bride would be complete without her beauty squad and makeup by Glam by Ruthie dolled the bride up with Gunn Glamour Hair, Makeup and Bridal ensuring that not a single bobby pin was out of place. 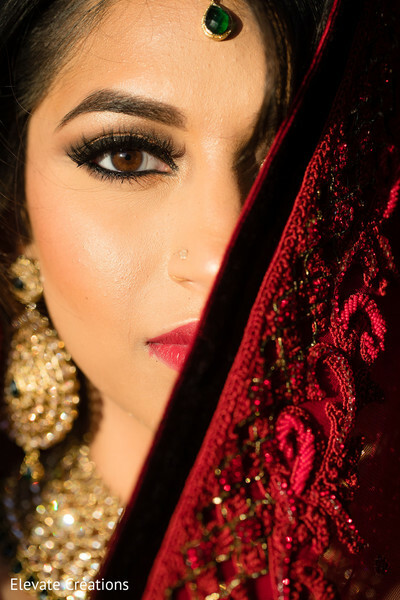 Nikki from Beauty you Deserve outfitted the bride with intricate mehndi. 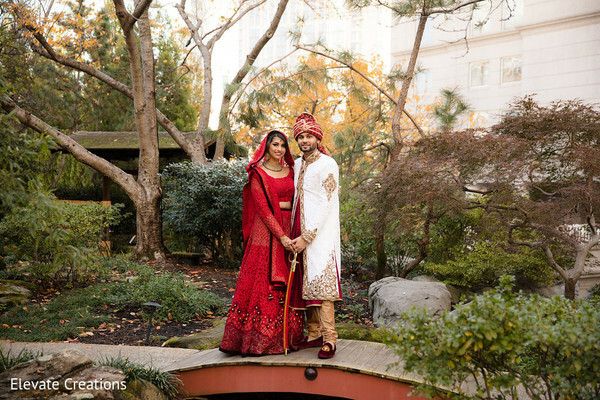 I absolutely love how the architectural motif designs blend both Bollywood traditions with modern sophistication. 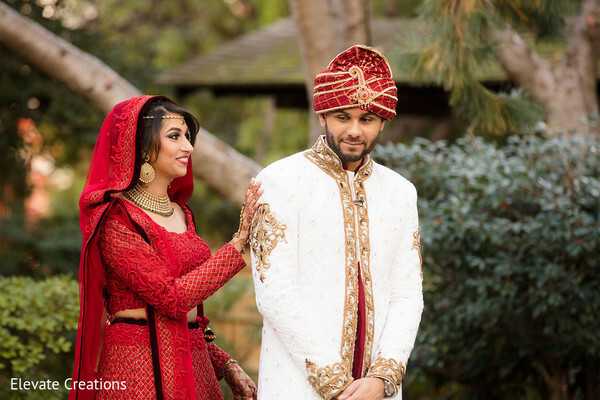 One of the most treasured moments of the wedding was the first look which left our hearts swooning. 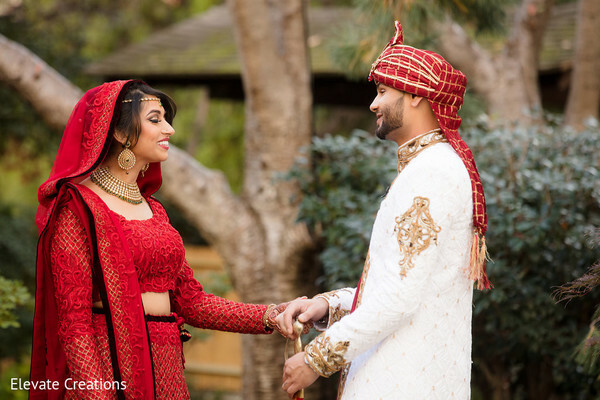 Take a look at some of our favorite shots and watch the whimsical day unfold before your eyes with our gallery captured by Elevate Creations. Sumeet and I have known each other for a while. My friends and I made a trip to Chicago to celebrate NYE in 2012 and Sumeet and his friends came to Chicago also. After that, we started talking and then he asked me to be his girlfriend on March 14, 2013 and then 2 years later he proposed and asked me to marry me! It was so perfect. Sumeet brought me back to Chicago during our 2 year anniversary. On March 14, 2015, he took me to Lincoln Park and asked me to marry him. He had all of our friends and family come to Chicago, which was a HUGE surprise! It was absolutely perfect! I am the type of girl that likes to be organized. Decor theme and color schemes were what I stood by. 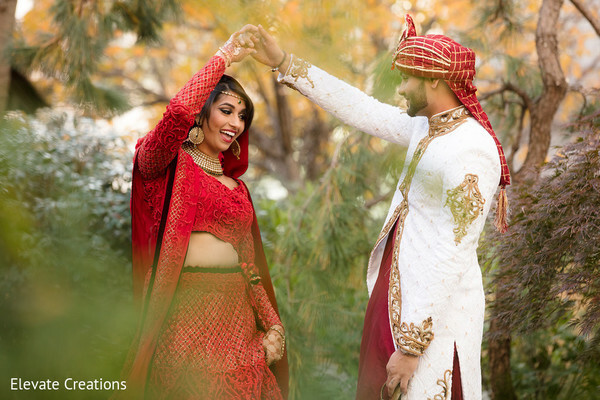 For my mendhi party, I wanted it on the rooftop of our hotel that we had our festivities at, and it just turned out beautiful. For my Saatak, I had a green/floral theme. For my wedding, it was a winter wonderland theme, filled with blue, gold, and white. For our reception, I loved the Gatsby look, so we stuck with a black and gold theme--sprinkled with champagne. I had looked everywhere and anywhere to stumble upon my wedding dress, and I finally did. 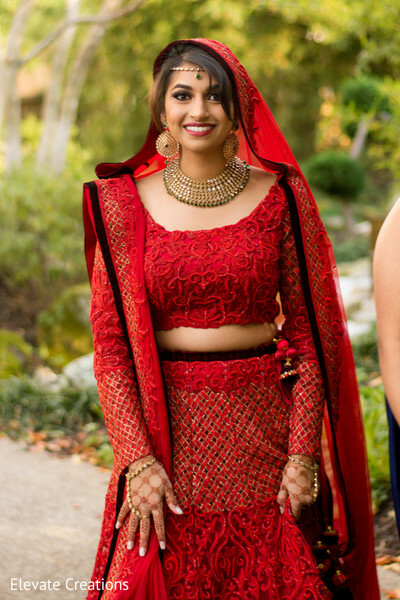 I went to Archana Kocchar in Mumbai and showed her what I wanted and she made my imagination wedding outfit a reality. I loved the idea of having a full red outfit. The most enjoyable part was just picking all the vendors and decor for my wedding. Just making all my Pinterest boards become a reality was so exciting to see. 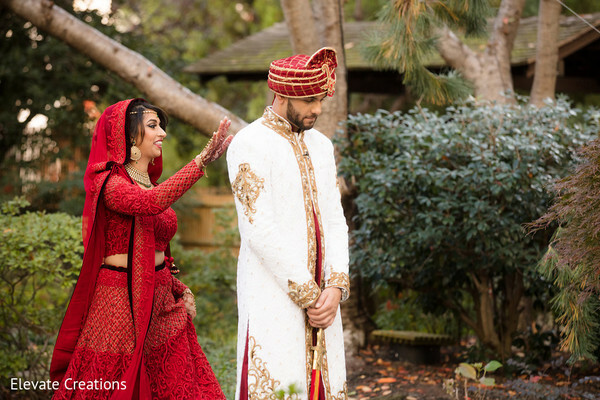 Sumeet and I look back at our wedding and we are so grateful that we have so many people in our lives that are genuinely happy for us. The guests at our wedding were enjoying all the company and the joining of our families. It was truly a blessing to have amazing people in our lives. If I had any advice for future brides, it would be: enjoy the process! Enjoy every second of your weekend because it will be over before you know it. You don’t want to miss a beat and with Indaglow Productions on the turntables, stay tuned for one rocking party!